Video. Click to watch ----- New York’s Rizzoli bookstore hosted on March 29th 2017 the presentation of Toscanini – The Maestro: A Life in Pictures. Interviews with Pietro Salini, Harvey Sachs and Antonio Monda. 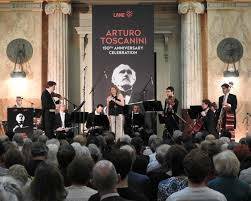 For the 150th anniversary of Arturo Toscanini’s birth, the “Cameristi della Scala” chamber orchestra will be performing a Celebration Concert in dedication to the iconic Italian musician. 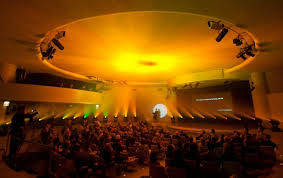 The event sponsored by Salini Impregilo Group and Lane Industries will take place at the Peter B. Lewis Theatre of the Solomon R. Guggenheim Museum this November 2nd. Although Italian by birth, Arturo Toscanini (1867-1957), made his mark in the United States and created a legacy. Toscanini was the Principal conductor at La Scala opera house in Milan, and then later became its Musical Director being capable also to bring the La Scala Orchestra to the United States on a concert tour. Frustrated with the politics of fascist Italy and the defamation that followed his defiance against Mussolini, Toscanini left Italy upon the outbreak of WWII for the US, where his success raised to new heights. Toscanini’s level of brilliance resonated with American audiences, and soon he was a household name becoming one of the most well-known and praised musicians. 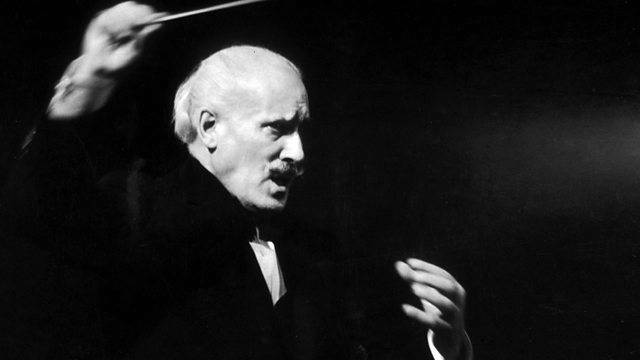 Toscanini’s career led him to the Metropolitan Opera House, the New York Philharmonic Orchestra, and also the NBC Symphony where he took the role as the first artistic music director. 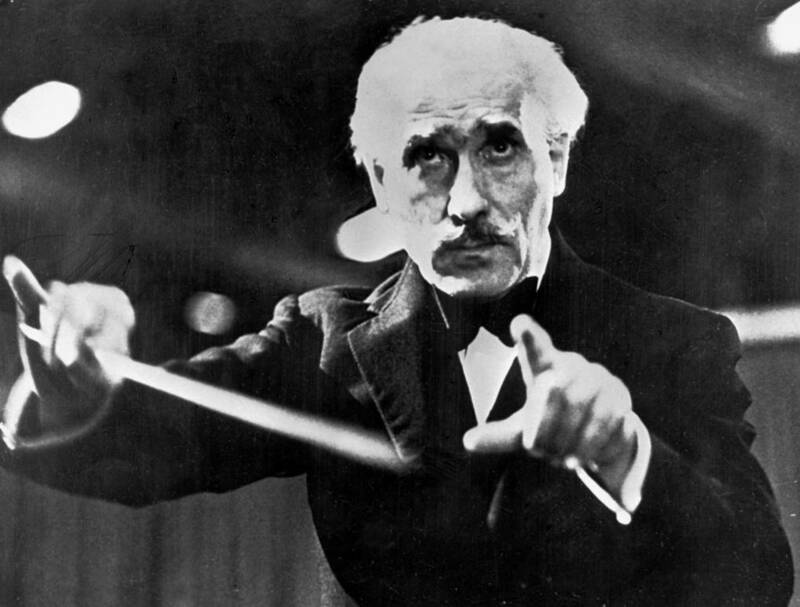 Toscanini is known all over the world for his excellence, but he holds a particular importance in the United States. New York City became his second home where he shared his passion and musical innovation while also embodying the quintessential American ideal of freedom. He ardently spoke out against the totalitarianism affecting Italy and other parts of the world. It is clear that Toscanini is not only distinguished by his musical talents, but also by his strong moral values. It is for these reasons and more that Toscanini will be celebrated on the anniversary of his birth. The renowned “Cameristi della Scala” that is performing in Toscanini’s honor was founded in 1982 and has since performed all over the world. Composed of notable conductors and prestigious musicians, they are playing alongside the Italian tenor, Vittorio Grigolo, whose exceptional artistic ability has made him a notable figure in the operatic sphere. To give a preview, some of the performances of the evening include, “Guglielmo Tell” by Gioachino Rossini, and “L’elisir d’amore” by Gaetano Donizetti. This same here the "Cameratisti" performed other homages to Toscanini with two performances in Washington DC and a concert held in New York at the Rizzoli bookshop on the occasion of the release of the book Toscanini - The Maestro: A Life in Pictures by Marco Capra with a foreword by Italian Conductor Maestro Riccardo Muti, and published by Rizzoli New York. The whole tour was sponsored by Salini Impregilo. Pietro Salini, CEO of Salini Impregilo and Chairman of Lane Construction Corporation, the event’s sponsors - invites his exclusive guests to a night of festivities starting at 4:30 pm at the Peter B. Lewis Theatre. Along with the performances, a video by writer and music historian, Harvey Sachs, will be displayed. Afterwards a “one on one” with Italian Tenor Vittorio Grigolo. This event will also host a Gala Dinner where special guests, such as Journalist and Director of Italian newspaper ‘Panorama’, Giorgio Mulè; the President of the Italian Region of Umbria, Catiuscia Marini, and the Director of the Frick Collection, Ian Wardropper, will speak. The night ends with the presentation of the Italian Excellence Awards. Salini Impregilo will be awarded - the group with more than 110 years of history, today is one of the most important international construction groups. It’s not the first time that Salini Impregilo and Lane, its U.S. subsidiary, sponsors events related to the figure of Maestro Toscanini. 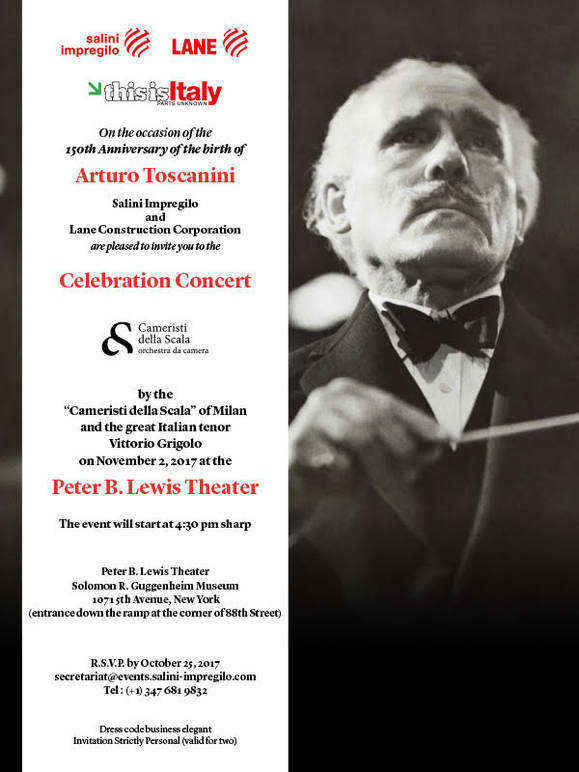 On the occasion of the 150th anniversary, the group organized important concerts both in Italy and in the US and it also presented the book Toscanini: The Maestro: A Life in Pictures. Pietro Salini explained what Salini Impregilo has in common with the great Conductor: “He was a champion of Italian excellence and an example of democracy, a man capable of generating well-being for those who admire his 'works.' These same values have inspired our work to build complex and major infrastructure around the world over the past century." Free Concert by “Cameristi della Scala” at the Peter Lewis Theatre at the Guggenheim.